Tracy currently teaches eighth grade science at Onondaga Hill Middle School, part of the Westhill Central School District. She’s taught in the district for 15 years. How has Tracy helped integrate technology at Onondaga Hill Middle School? “The combination of technology and creativity has always been the cornerstone of my classroom activities,” according to Tracy, who makes it a goal to provide students with exposure to the latest advancements in educational technology. Multiple examples of Tracy’s technology integration efforts can be found through her use of the “flipped classroom.” An early adopter of flipped model, Tracy gives her students access to lesson content outside of class, while placing a greater emphasis on hands-on learning experiences within the classroom. “With the explosion of new technology resources available to teachers, the flipped classroom has really flourished,” said Tracy. Her classroom is also almost completely paperless, with her students submitting the vast majority of their assignments digitally via Google Classroom. Project-based learning (PBL) activities also work well within the flipped classroom model. Tracy’s students participate in several PBL projects throughout the school year, including her personal favorite: Rube Goldberg. During this PBL, students research Rube Goldberg and his contributions to science, before forming into groups and constructing Rube Goldberg machines of their own! The kick-off to the project is a Skype session with Jennifer George, Rube Goldberg's granddaughter. Ms. George gives students insight into Mr. Goldberg's life and experiences. She also provides students with tips on building their Rube Goldberg Machines. Tracy’s current PBL project tasks her regents earth science students with bringing the reference table to life. Students are making tutorial videos on each section of the Earth Science Reference Tables, and hyperlinking these videos to a PDF. When completed, the class will have created an interactive (and highly visual) version of these reference tables. 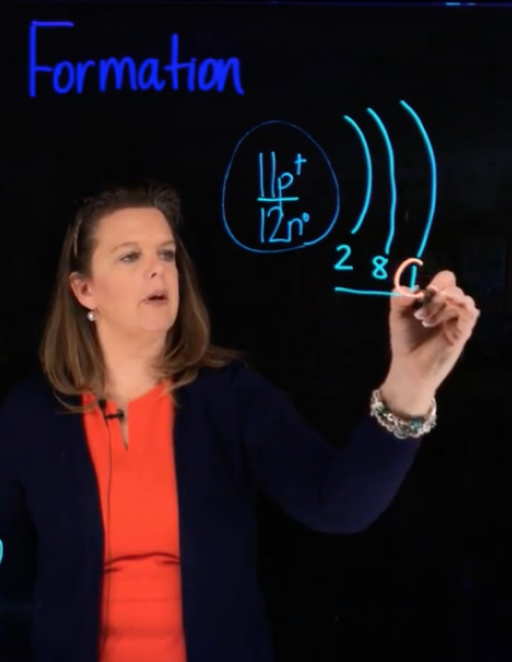 Tracy considers herself “extremely fortunate” to have a highly advanced piece of technology as part of her classroom: a Lightboard. The Lightboard is essentially a glass chalkboard that is illuminated with light. Lessons are captured via video, and presented to students through the flipped model. The Lightboard is equal parts visually appealing and engaging to students. Tracy’s own students have dubbed these presentations as “very satisfying" to experience. How have students benefited from Tracy’s technology integration initiatives? Tracy’s students have gotten to experience to a wide variety of technology in the classroom, and regular use of the tools on offer is preparing them for the demands of high school and beyond. Many of her former students have reported being well-prepared for the next level of instruction.